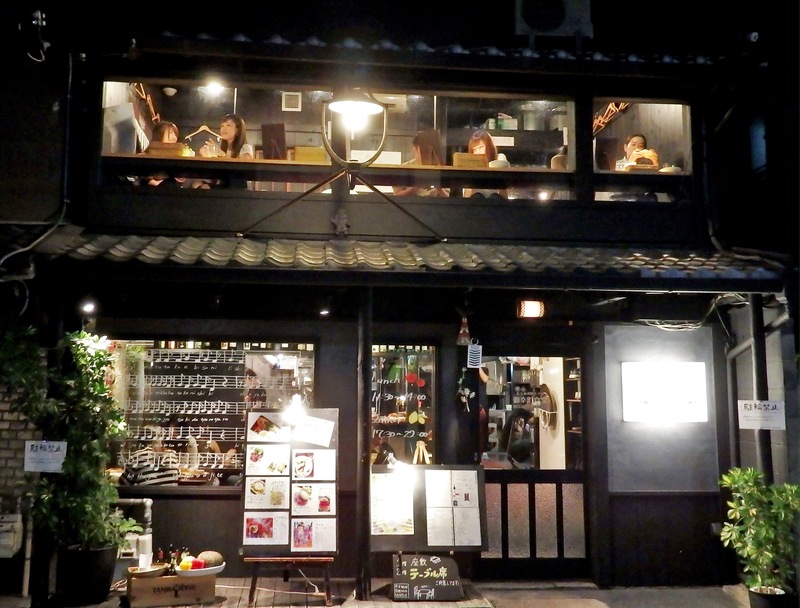 Searching for a restaurant in Kyoto can be intimidating and/or overwhelming. This is a list of places that I have wandered into, as a single traveler, without prior reservations. They are also appropriate for couples and small groups. I doubt that any of them are famous, but they are locations that I have re-visited and will continue to frequent in the years ahead. Most are quite reasonable – especially if you consider the quality and quantity of the food served. 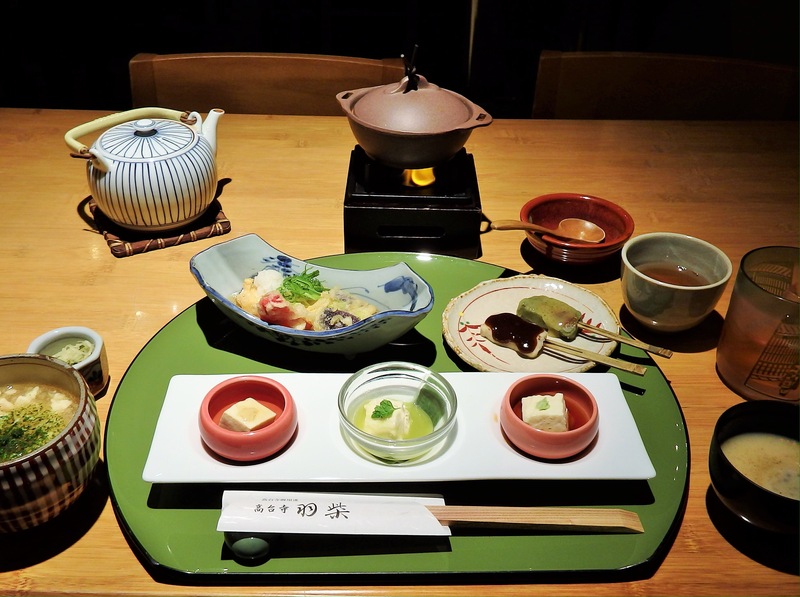 On Friday and Saturday nights, or during peak times (cherry blossom season, during Gion Matsuri…), it is advisable to make reservations in advance, if possible. That said, when I travel by myself, I tend to eat a bit earlier and have never had trouble finding a seat. TOGADEN is a small, tofu restaurant located on the 2nd floor above the owner’s tofu shop. The interior is clean and modern with table seating. Most of their set meals cost between 1200-1550 yen. Evetything is delicious and incredibly healthy. It is located near the corner of Sanjo-dori & Kiyamachi-dori. They have multilingual menus with great photos and is vegetarian-friendly (except, they do use bonito flake dashi broth in some of their dishes). OBANZAI NA-NO-HANA is a tiny establishment on Gokomachi-dori (one street over from the Teramachi covered arcade) that specializes in ‘obanzai’. I love the ‘Nan-no-hana’ lunch set (1600 yen). On my last visit, the set included four seasonal dishes, choice of soy milk gratin or namafu dengaku (grilled blocks of wheat/rice gluten topped with sweet miso sauce), mixed tempura, rice, miso soup, pickles, and a mini dessert. (I had the namafu – bottom left photo). You can order a la carte (Japanese menu only), but the sets are a much better deal. For dinner, have the Na-no-Hana Irodori Obanzai Set (2550 yen) with rice & soup (540 yen). Na-no-Hana is casual, non-smoking, but is not for those with special food requirements. They are closed on Wednesdays, and on two Tuesdays each month. KOKORAYA GOKOMACHI HONTEN is housed in a traditional machiya (row house) near the intersection of Gokomachi-dori & Rokkaku-dori. 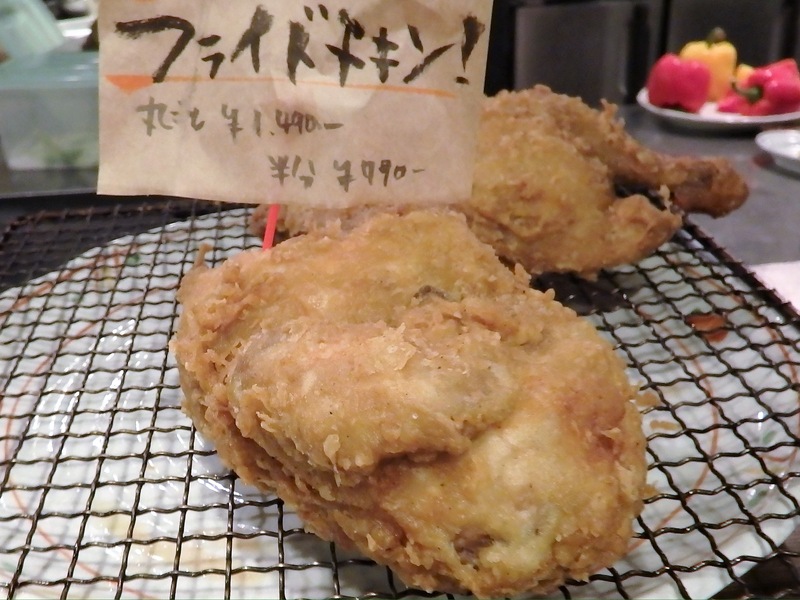 They have an extensive menu, but specialize in ‘obanzai’. Most of the seating is on tatami, but they also have a counter overlooking the kitchen. Most clientele is local, but they have an English menu. 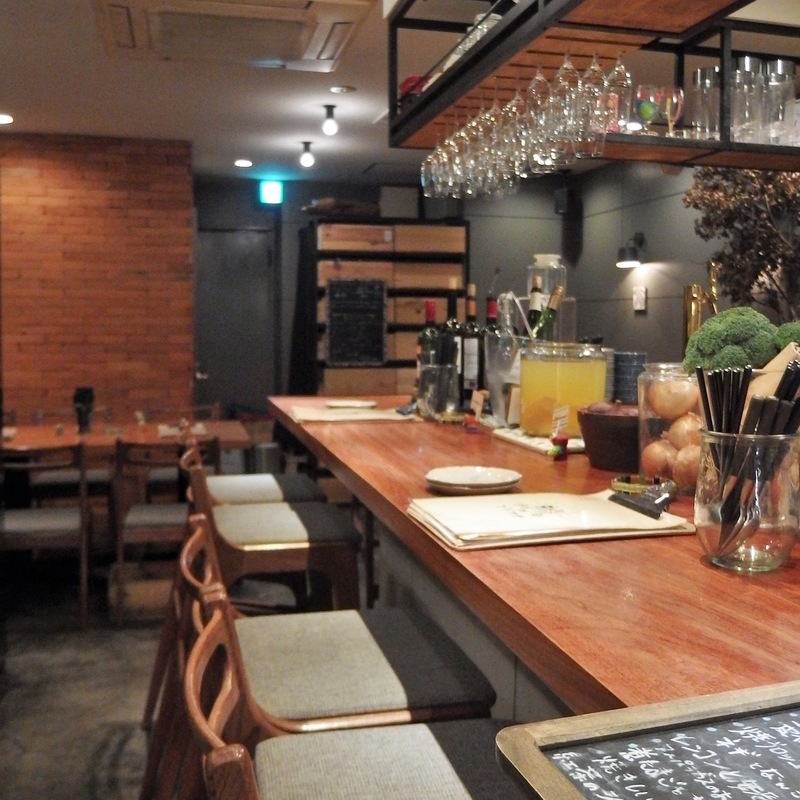 KOKORAYA has a relaxed and friendly atmosphere. They are closed on Tuesday. OUCHI ITALIAN KOKORAYA SHOKUDO is a sister restaurant of the previous entry – also housed in a traditional machiya and located on the corner of Sanjo-dori and Gokomachi-dori. They offer tasty Italian dishes, however, they also serve some of the best fried chicken I’ve ever had in my life (and I’m from American’s ‘Deep South’). They have a casual atmosphere and both table and counter seating. Most of the clientele is local, but they have an English menu. They are closed on Monday. 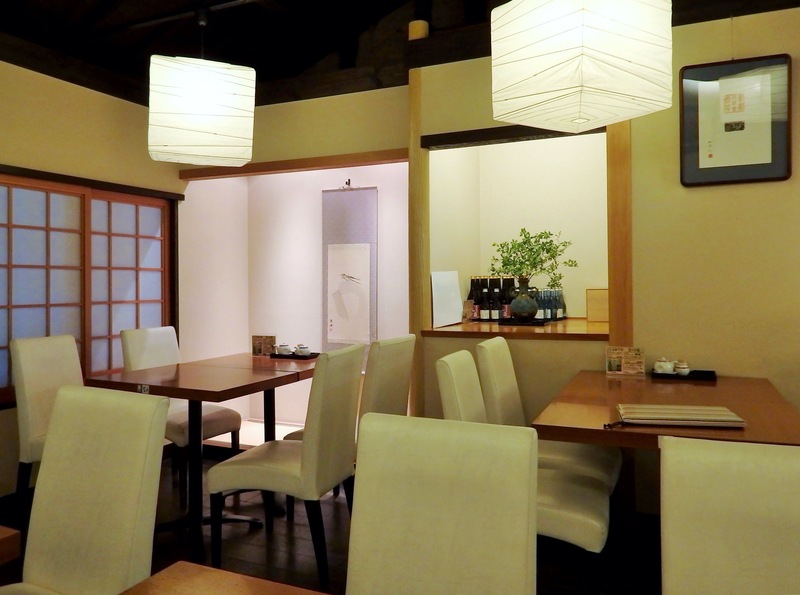 OMO CAFE is also housed in a lovely, traditional machiya. They serve Japanese sweets and creative Japanese cuisine. 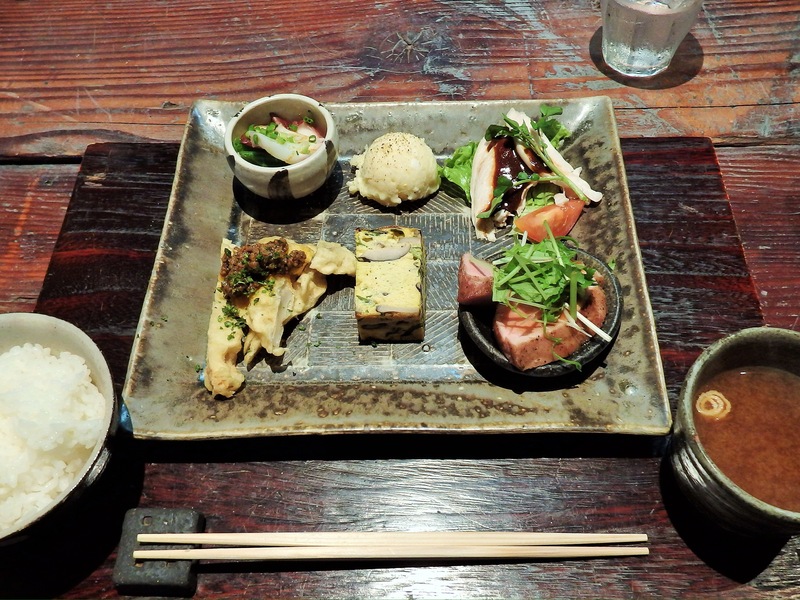 Their specialty is the Gohan Plate – a selection of seasonal delicacies served with rice and miso soup for only 1550 yen. 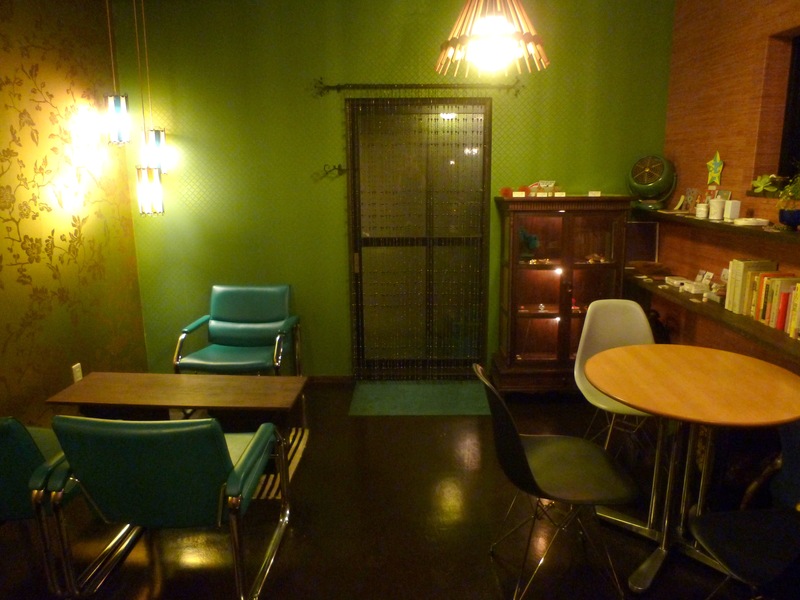 They have table and tatami seating in a casual environment. A little English is spoken. BUDO-YA TSK is a tiny restaurant/bar along Kawaramachi-dori, about 500 meters south of Shijo-dori. Three friendly, young Japanese men serve their patrons delicious pastas, risotto, and a variety of creative side dishes. There is bar counter seating and a couple of tables. The clientele is mostly local, but they do have an English menu. 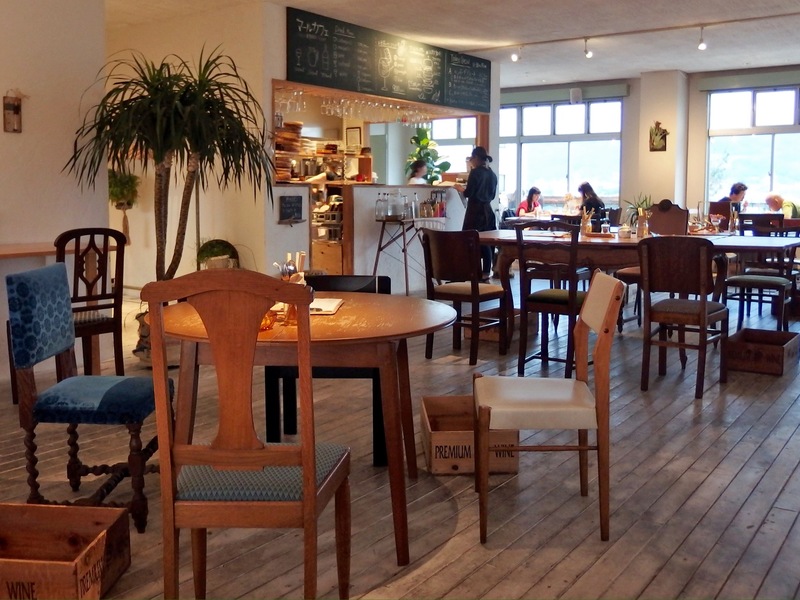 CAFE MAR is a hard to find gem located on the 8th floor of a nondescript building along Kawaramachi-dori, close to Gojo-dori. Half of the cafe consists of a huge outdoor patio with a fantastic bird’s eye view of the Kamogawa and Higashiyama. They serve burgers, pasta, curry, and a tasty selection of desserts. CAFE OPAL is a unique dining spot located down a long, narrow alley between Gion and Miyagawacho. Choose at a table, or sit at the counter, in a uniquely renovated 80-year-old machiya. The cafe is run by a friendly couple who speaks some English. Stop by for a pre/post dinner drink, coffee/tea, or something from their simple menu. For more information, check out this photo story I did for JapanTravel.com a few years ago. HASHIBA is Kodaiji Temple’s ‘official restaurant’. It is hidden upstairs beside Kodaiji’s small museum along Nene-no-michi. Their yuba/tofu set meals are amazing and a great value. Casual, has an English menu. Be aware, last order is around 7:30/8:00, depending on the time of year. These are only a handful of choices – among thousands. I suggest that you wander around Kyoto and find some favorites of your own. 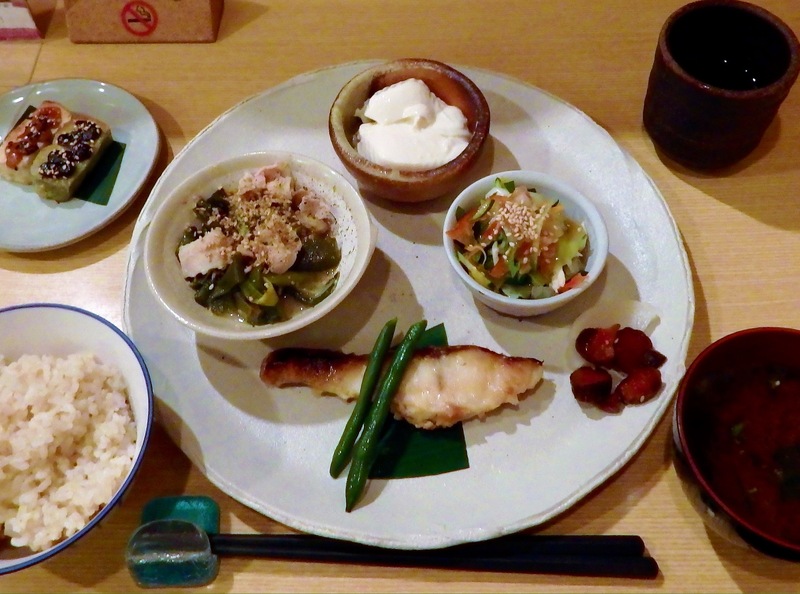 Obanzai: homestyle cooking focused on simply prepared vegetables, tofu, and fish (although some meat is also used). Most of the ingredients are grown/produced in Kyoto.